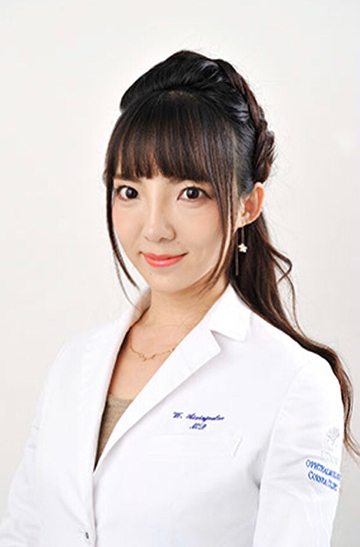 Dr. Aixinjueluo MD, PhD, Director of Eye Clinic Ooimachi is an experienced ophthalmologist and surgeon with special interest in cornea, eyelid and dry eye. She received a wide range of specialist training in the University of Tokyo Hospital and Tokyo Teishin Hospital for over 10 years. 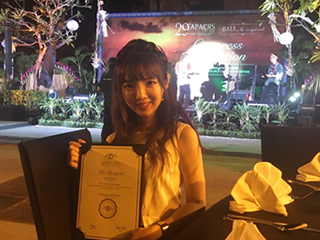 Dr. Aixinjueluo is operating one-day ptosis surgeries for ptosis patients and corneal crosslinking therapies for keratoconus patients. 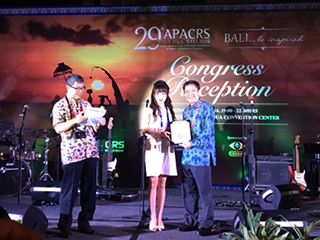 Dr. Aixinjueluo has received the Best Poster Award in Asia-Pacific Association of Cataract and Refractive Surgeons APACRS annual meeting 2016 for her work of corneal crosslinking therapy for keratoconus. Her work was also inducted in Eurotime (http://www.eurotimes.org/corneal-crosslinking-cxl/). Dr. Aixinjueluo is fully conversant in Japanese, English and Mandarin. Dr. Aixinjueluo provides direct, hassle-free and easily accessible, comprehensive and specialized medical care for local and international patients. Dr. Aixinjueluo is respected and liked by his patients and colleagues who praise her for her professionalism, expertise and kindness. Her main focus is on excellence in clinical outcomes and complete patients’ satisfaction.